Avi is a co-founder of the company and currently serves as PandoLogic's SVP of Engineering & Development overseeing PandoLogic's development team. He supervises the team's day to day work, as well as contributes to the company's long term technological vision, strategy, and tools. Avi brings over 18 years of hands-on software development and management experience to PandoLogic and is a member of PandoLogic's founding team. He has extensive knowledge in a large scale systems, databases, and business analysis and is in charge of the current architecture for most PandoLogic products. 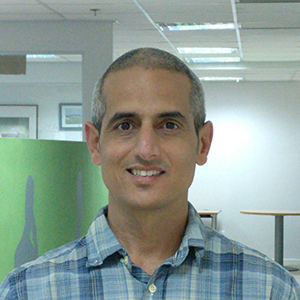 Prior to joining PandoLogic, Avi was a Team leader at Redmatch Ltd. and Softov Ltd. Avi holds a practical engineering degree in Computer Sciences.